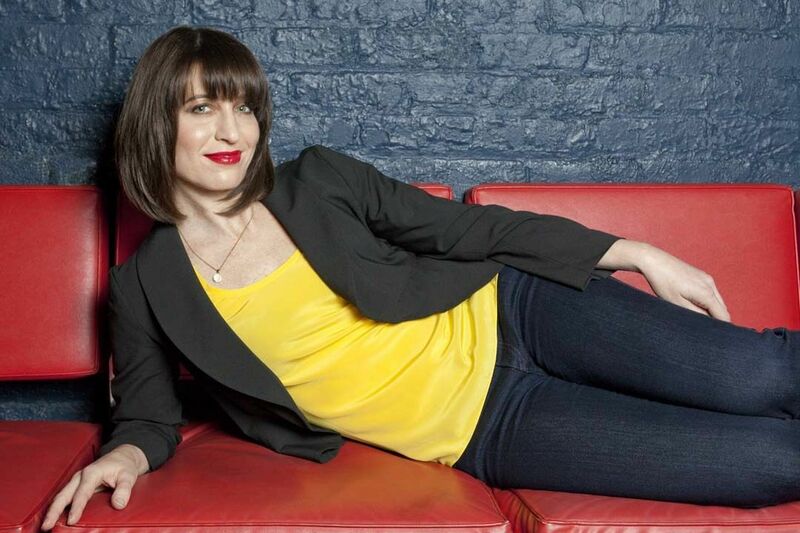 Each week the enthusiastic voice of Ophira Eisenberg greets public radio listeners as the joking, jovial host of NPR’s wordy puzzle and trivia game show, Ask Me Another. But there’s much more to Eisenberg than interviewing the show’s celebrity guests or asking contestants to come up with food puns based on Disney songs. You can hear her crack wise at the Stroum Jewish Community Center on January 24. Before she heads to town, we took the chance to chat with Eisenberg. How does performing at a Jewish center compare to a comedy club? It’s obviously going to be a little more homey. The great thing about performing for Jewish centers or at Jewish events, which I’ve done quite a few of over the years, is that everyone’s going to show up knowing what they’re there for — it’s not like I’m getting in the middle of a bachelorette party or work engagement or in between drinks and more drinks. So I feel like there will be less of me having to tell drunk people to shut up and more having a great time. How has your Jewish heritage affected your comedic sensibility and outlook? My parents were much older — I’m the youngest of six — and they survived World War II. They have seen a lot, and have a good sense of humor. The currency of love in my family was expressed through making each other laugh. I thought that was unique at one point, but the more I talk to people, it’s actually quite common. It’s how a lot of oppressed cultures get through hard times — by finding some sort of lightness in it. When I do Christmas Eve events, which are usually [intended] for Jews to come out and see some comedy, a lot of the other comics are always like, “You know what the greatest thing about performing to Jewish audiences is? There’s a history of comedy.” You don’t have to explain to them how a comedy show works or what stand-up is all about; everyone knows. It’s almost like it’s part of our heritage at this point, at least in North America. Jewish people tend to be funny. It is a good stereotype! It’s a very positive stereotype. Has anything about hosting Ask Me Another impacted how you do comedy? The NPR audience is very nerdy, very smart. You’re almost competing to say the smartest thing, ’cause they can handle it. I feel like I’ve been able to exercise that muscle and lean in to some of the nerdier aspects of things I’m interested in, knowing that there’s an audience there to listen to it. I love telling jokes, I love making other people laugh — but a huge amount of it is the connection. It’s the connection I feel with the audience and hopefully they feel with me. And if I were to say there is a grand philosophy behind the whole thing, it’s that I just hope that we all feel a little less alone.